Say hey to DJ John Michael! He’s the official DJ in Residence at Peloton Cycle (now known as OnePeloton,) he’s trained under Junior Vasquez, and knows more 80s trivia than you do. This isn’t assumption, this is fact. DJ John Michael gives us 30+ minutes of over the top interview, on topics as wide-ranging as music as a calming influence, “taking back your brain” from the background processes, and somehow, we wound up also touching on the 80s TV Show “The Facts of Life,” as well as Game of Thrones, the best dance mixes, and of course, Broadway. There’s never been a more ADHD-centric interview in the history of the FTN Podcast! You’re going to love this one. I’ve listened to it three times already, and I was there when we recorded it! PS: Add your voice to the Thunderclap for the Faster Than Normal Book by clicking the link below, and I’ll send you some goodies after the book launches on October 3rd! 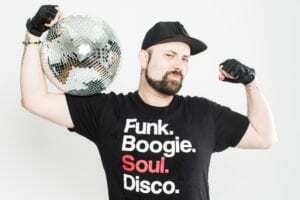 PPS: Check out DJ John Michael’s MixCloud! It’s amazing!